Humanity has been searching for the secrets of longevity for a very long time. Over recent years, the search has been gathering pace and has started to bear fruit. One of the most significant scientific breakthroughs in recent years is a compound called Nicotinamide mononucleotide or NMN. Although studies into its potential are at a very early stage, the signs are extremely positive and indicate that NMN may be the supplement we have all been waiting for. Studies indicate that as well as longevity, nicotinamide mononucleotide has a range of potential benefits for human health including improved metabolism and increased energy. It may also help prevent various age-related illnesses and reverse many of the adverse effects linked to the aging process. NMN is a compound derived from ribose and Nicotinamide which is a derivative of Vitamin B3 or Niacin. The compound plays a major role in deciding how the body uses its energy. As we grow older, we experience a big drop in our levels of energy. We accept that this is the case but why does it happen? The main reason that age deprives us of youthful levels of energy is that aging also sees a drop in our levels of nicotinamide mononucleotide. In order to illustrate the point, it helps to look at the relationship between NMN and a co-enzyme called Nicotinamide adenine dinucleotide more commonly known as NAD+. NMN is a precursor to NAD+ and therefore plays an essential role in its synthesis. This is important since NAD+ plays a critical role in the conversion of the energy your body gets from its nutrients converting it into a form our bodies can use. NAD+ also plays a very important role in how the mitochondria communicate with the cell’s nucleus. The levels of NAD+ in the human body are directly linked to the body’s level of NMN. Various foods contain Nicotinamide mononucleotide especially foods rich in vitamin B3. These include poultry like chicken or turkey and white meat such as pork. 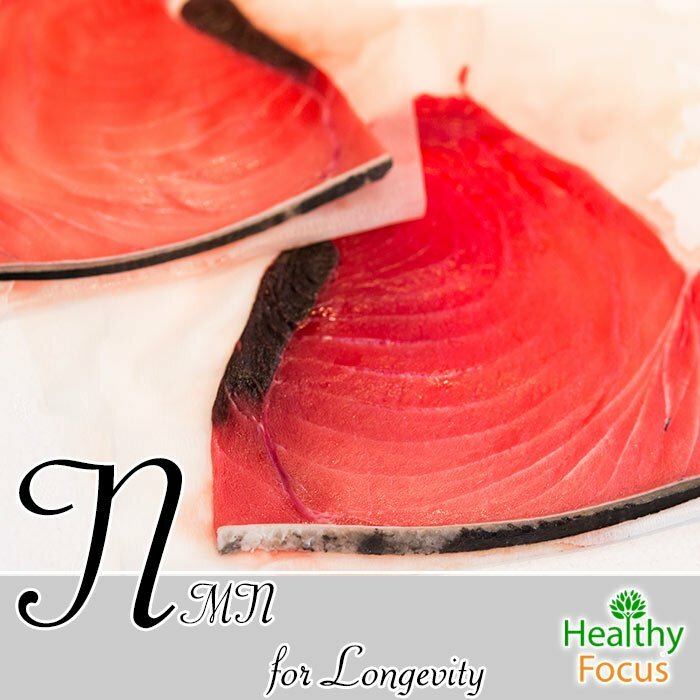 However, the best source of NMN is found in fresh fish that is high in niacin like tuna, salmon, mackerel, and swordfish. For vegetarians, there are several other excellent dietary sources of NMN. These include mushrooms, fortified grains, green peas and sunflower seeds. Eating plenty of fresh fruit and vegetables can also help increase your intake. While there are plenty of food sources, the best way to ensure you obtain the requisite amount of Nicotinamide mononucleotide is to take a dedicated supplement. These days NMN supplements are readily available online and at health food stores across the country. We know that as we get older, we gradually lose the levels of energy that we enjoyed during our younger years but why exactly does this happen and is there anything we can do about it? Our levels of energy decline when communication between the cells’ nucleus and the mitochondria breaks down. The mitochondria are cell organelles responsible for producing energy within the body. When communication between the mitochondria and the nucleus breaks down, less energy gets produced. This, in turn, results in physical fatigue and a general apathy towards many of those things that used to interest us greatly. Anybody that has moved into middle age will recognize those symptoms but do we need to accept them? These findings are significant since the only known alternatives to increasing the blood’s NAD+ levels are reducing calorific intake and rigorous exercise. Both of these methods can be very difficult to accomplish and neither guarantees a significant increase. Research has started to indicate that NMN may help improve a person’s life expectancy considerably. It increases your chances of a longer and healthier life by fighting certain diseases and reducing your risk of developing others like cancer. Mutations in your DNA cells are the cause of cancer and while many of the factors that contribute to the disease are out of your control, people can control some of them and reduce their risk of the disease. One contributory factor in the progression of cancer cells are dormant sirtuins. When these sirtuins are inactive, the organs deteriorate and harmful molecules thrive. One of these dangerous molecules that play a significant role in the development of cancer is called HIF1. Studies suggest that consuming NMN plays a very important role in inhibiting this molecule and therefore reduces your risk of cancer. Recent studies done on mice have found that by increasing your NAD+ levels, NMN can mimic the effects of exercise and greatly increase life expectancy. The researchers found that NMN which was administered through drinking water was absorbed by the body very quickly and they hope to replicate the results in the first human trial being carried out in Japan. While it is often seen as a disease linked to lifestyle, everybody is susceptible to type 2 diabetes especially the elderly. Fortunately, research indicates that NMN can significantly reduce a person’s risk of developing the disease. The disease occurs when a person’s pancreas produces insufficient insulin to balance the body’s blood sugar level. It also occurs if the body fails to use its insulin to balance blood sugar. It often occurs as a result of poor diet or the consumption of too many fats and calories which overwhelm the metabolic system or when a person does little or no exercise at all. The ongoing research into the anti-aging effects is extremely exciting for anybody that wants to live a longer and healthier life. It may not be the immortality drug that so many people are waiting for but it shows incredible promise. NMN promises to restore some of the youthful energy that we all miss and to help stave off age-related disease. The first human testing is currently in its early stages in Japan and I am looking forward to updating this article with the results when they are finally published.